The Dungeness crab fishery has been established commercially on the west coast of the United States since 1848. And of course Oregon has consistently been one of the largest producers of Dungeness crab on the west coast. The Dungeness crab fishery is considered one of the most valuable single species commercial fisheries in Oregon, harvesting an average of 14 million pounds of crab per season. Currently there are about 335 permits for fishing vessels in the crab fishing fleet for the state of Oregon. Here at Giddings Boat Works we understand how critical crab fishing is for the economy here in Oregon, not only for the state but also for the many local economies, ports, shipyards and support industries that make up the industry. As a Crab Boat Builder Giddings Boat Works has years of experience building crab fishing boats for local fisherman as well as building, repairing and retrofitting boats for the king crab fishery further north. 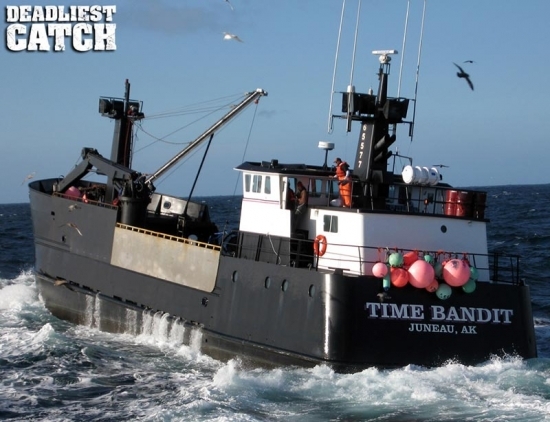 Giddings Boat Works has been honored to work with the owners and crew of the some of the most famous boats in the industry that are featured on Discovery Channel’s Deadliest Catch series. Because we have been in the industry so long we have a good reputation in the Crab Fishing Community and we know and understand what is needed when it comes to building , repairing and retrofitting a commercial crabbing vessel. If your looking for a great team of craftsman and builders to tackle the job of building your new Crab Boat then give the team at Giddings Boat Works a call at 541-888-4712 or Contact Us via email. Let us help you get you and your crew on the water so you can be part of an Oregon tradition that goes back well over 150 years and join the rest of the fleet of mariners who call the Oregon’s coastal waters home!